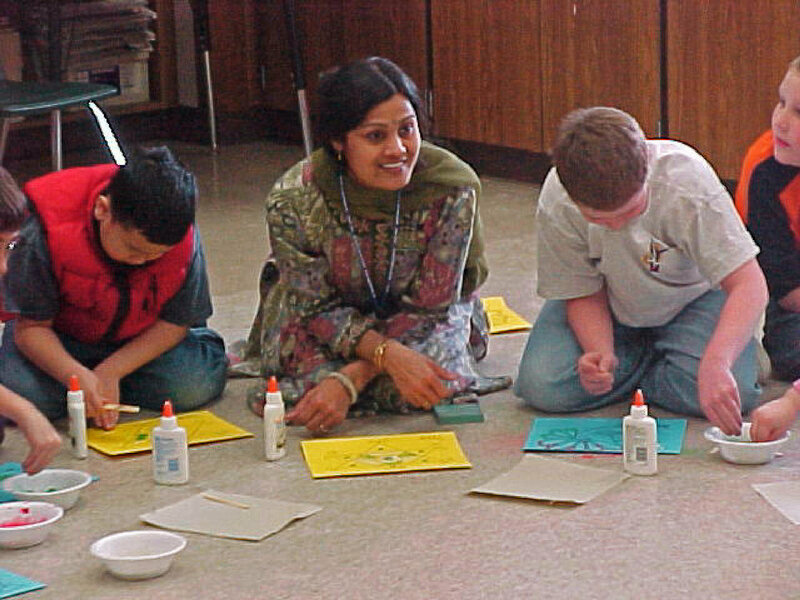 Join Teaching Artist Shakun Maheshwari for Sand Painting & Rangoli at Park Grove Library! Learn about Indian culture, history and celebrations through art. Participants will be exploring the uses of temporary art, or art made from chalk, sand, or rice flour. Rangoli designs are a temporary floor art that people create and redo on a daily basis in India in order to bring good luck and happiness to the home. Create stylized rangoli designs with flour or colored sand, which can be displayed temporarily or transferred to paper. For instance, colored sand can be “painted” to make a Mandala on paper.